The joint-stock company SKYDENT a.s. was founded by natural persons on 20 January 2006 and registred at Nitra Regional Court on 7 February 2006. The company domicile and the manufacturing plant are both situated in Skýcov, Nitra region, Slovak Republic. Our fundamental business activities are manufacturing and selling the intraoral X-ray films. The target of the company is to build conditions for complete offer of the radiologic screening (X-ray systems, films, developing machines, plotters). 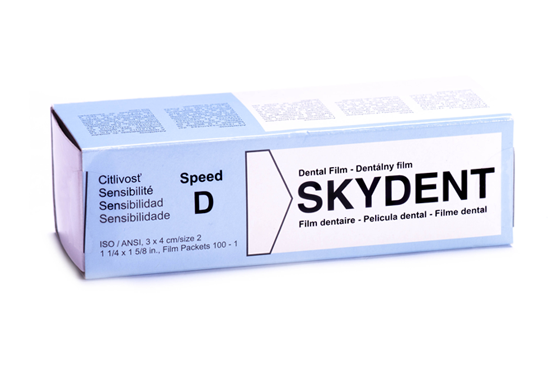 SKYDENT D is a high-quality double-emulsion intraoral X-ray film of medium speed (ISO class D), high contrast and fine grain, providing high image quality and outstanding detail definition. 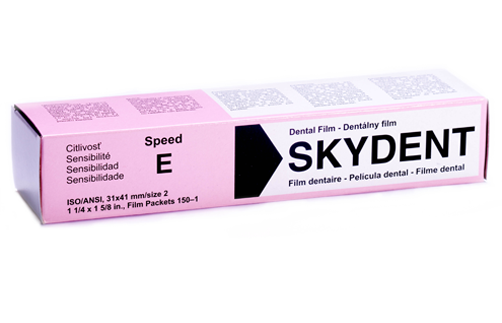 SKYDENT E is a high-quality double-emulsion intraoral X-ray film of high speed (ISO class E), high contrast and fine grain, providing high image quality and outstanding detail definition. 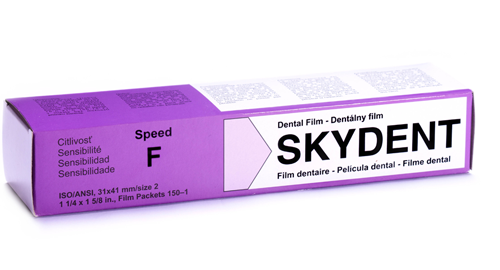 SKYDENT F is a high-quality double-emulsion intraoral X-ray film of high speed (ISO class F), high contrast and fine grain, providing high image quality and outstanding detail definition.